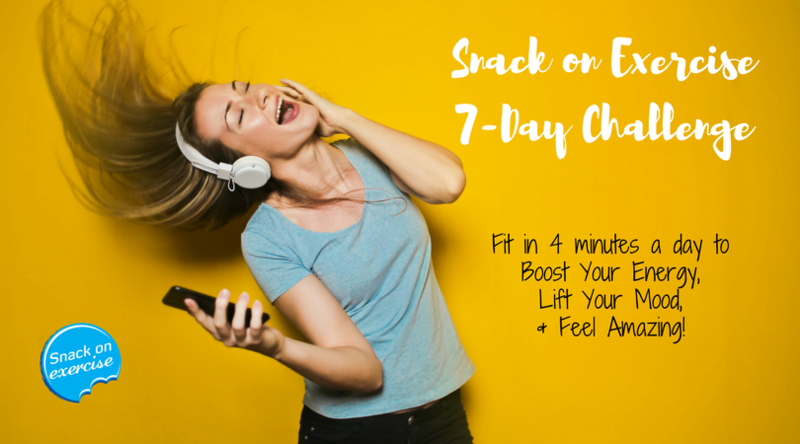 Commit to Snacking on Exercise for four minutes every day with this 7-Day challenge. Boost your health, energy and vitality and see how amazing you’ll feel! If you are already registered, scroll down to access the content below. Snack on Exercise is a global movement with the simple (but superb) goal of changing the way we think about exercise. It will help you shift your paradigms, showing you exactly how to overcome the ‘no time’ barrier and helping you boost your health and happiness, for life!